Rushden Research Group: Irchester and the "Red Lion"
Irchester and the "Red Lion"
An inn has stood for more 200 years on the corner of Townwell Lane in the former Roman settlement of Irchester. But time was finally called at the end of 2017, and one can only imagine how busy the Red Lion pub had been over those centuries of trading? My late mother, Grace Wright (nee Baxter), was born in the late 1920's just a few yards away in a row of old cottages at the bottom of Townwell Lane, as was her younger brother Ronald Baxter, to Jack and Flo Baxter. These dwellings were deemed unsuitable for modern living, and were demolished as were some of the houses in the High Street in the early 1950's. After their move from the cottages, Jack and Flo, along with many others, moved into brand new houses with all mod cons up at Bakers Crescent. My mother and father were married in St Katherine's Church in Irchester, and then moved in to a newly built council house in dad's home village of Wymington. In early 2018, Ronald Baxter still lives in the village along with his wife Meryl of about 50 years. 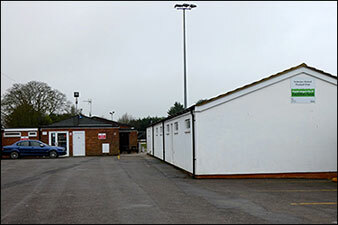 Meryl used to live opposite the "Rec" up Wollaston Road, now they have a bungalow in Denton Close. You may be thinking, hang on a minute the pub was called the "19th Hole"  well yes it was in more recent times, but I was never too sure why and how the name change came about? Although Irchester is pretty devoid of any major employment these days, it used to have five shoe factories, and not forgetting the tasty products being made at the Parson's pie factory; this was located next to the Parson’s Hall which still remains to this day. 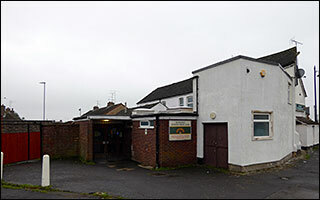 The locally famous Parsons Hall was built in 1952, and has been used over the years for dances, theatrical shows, meetings, and of course was a very popular bingo hall back in the 1970's, with coaches being provided to transport the many customers to and from the sessions. In the mid 1960's it attracted a big crowd one Friday night when the mod group the "Small Faces" from East London played there. 1966 saw the Small Faces, with "All or nothing" topping the hit parade for one week in the summer of that year. The next decade in the early 1970's they were Rod Stewart’s backing group for a number of years to come. I have fond memories of my maternal grandmother working at Parson's factory, and on some Saturdays she would give my mother a portion of sausage meat, mum would then dust it in flour and fry it for my tea. While I was tucking in to this local treat at the living room table, mum would be checking the football results on the12 inch Bush television to see if we had come in to some money. I think the likes of Workington and Accrington Stanley getting an away win, and maybe the Cobblers being beaten at home gave a sigh of disappointment, and then she would start picking her 8 games for the following week’s "Treble chance" on Littlewoods or Vernon’s pools. 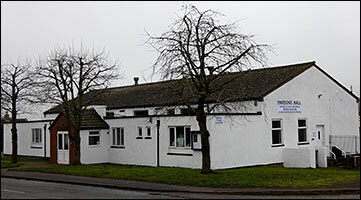 The "19th Hole" used be a popular pub, and had a bar offering the usual attractions, if you fancied eating, there was a dining room to the rear. 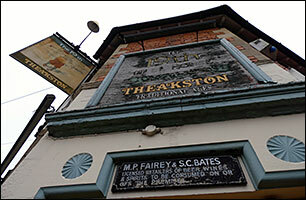 It was serving Theakston's ales towards the end, these beers are currently brewed in North Yorkshire in the village of "Masham", famous for their "Old Peculiar" brand. Many years earlier the Red Lion was a Praed pub, this beer was brewed in Wellingborough until 1955. The Swansgate shopping centre stands near the site now. As we are talking about old breweries etc, around here we used to call the "off licence" by its former local term the "outdoor beer house," I wonder why and when that changed? 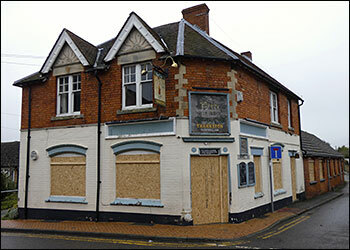 The last landlord at the "19 the Hole" was Mick Fairey along with his business partner a Mr S.C. Bates. I knew Mick when he was an engineer working for Cyril Norris engineering in Rushden; that was back in the mid 1960's. We called him by his nickname "Tonto", this was when he was living up at Crow Hill in Irthlingborough, I think everyone knew him as "Tonto" and not Mick. Mick was a bit of a mini entrepreneur in his day, and he drove a rather nice looking red Triumph Spitfire sports car, and was always eager to supply the lads with their "toiletries!" 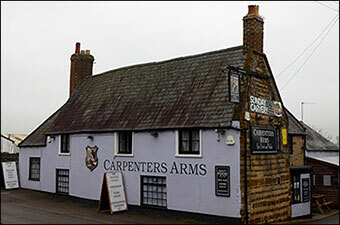 The population of Irchester is currently just under 5,000, so the residents can have a local libation in the Carpenters Arms, the Sports Club along Alfred Street, or thirdly the Working Men’s Club.